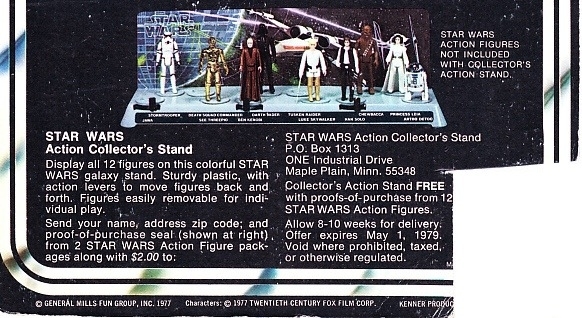 The Action Collector’s Stand was the very first promotion offered on the back of the figure cards, but was also advertised in the Early Bird Kit. In the early bird kit, it was a matter of just simply sending in the form and $2. 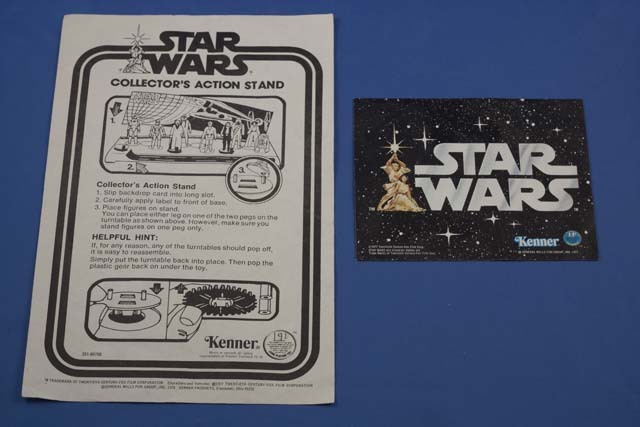 On the back of earlier Star Wars cards, it required 2 proofs of purchase and $2. 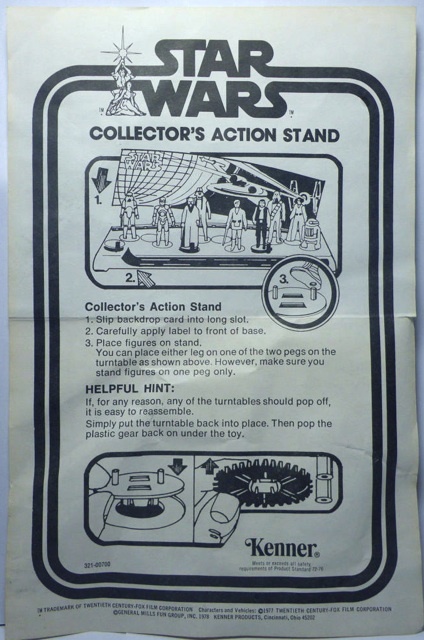 The offer was later revised and you could get the stand for free with 12 proofs of purchase. 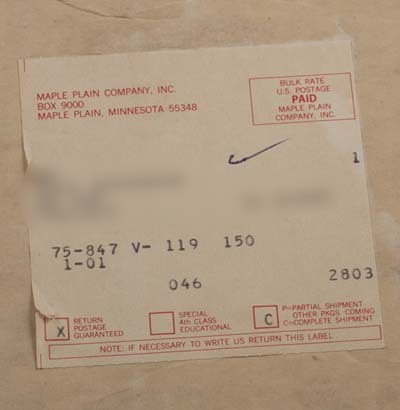 The offer expired on May 1, 1979. 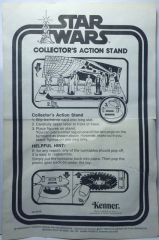 Earlier versions of the stand include an instruction sheet with the Long Playing(LP) logo, which Kenner had on all the earlier Star Wars toys. 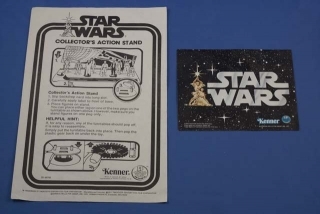 Later versions of the instruction sheet have this removed like Kenner did with their other toys. 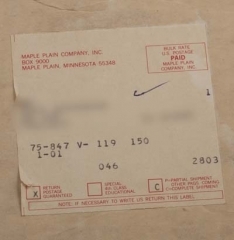 The non LP logo version appears to be the more difficult version to find.